ST. GEORGE – A 52-year-old woman was arrested Tuesday for allegedly making online purchases with two different trucking companies’ stolen credit card information. On Jan. 21, officers responded to the Arizona-Utah Department of Transportation Port of Entry at Exit 1 after it was discovered there had been a credit card breach in their office, St. George Police Officer David McDaniel said in a probable cause statement supporting the arrest. DTS Logistics in Montana and Derrico Logistics in Wisconsin, both trucking companies, had their credit card information taken from the Port of Entry office. Krisan Moss, of St. George, was found to have used the Derrico Logistics credit card at a St. George nail salon, McDaniel said in the statement. The charge was for $58, and included two nail services and a $5 tip. Derrico Logistics informed police they had evidence of three suspicious charges on their account, from the nail salon, Hulu.com and Etsy.com. Subpoenas were sent to Hulu.com and Etsy.com, and Moss could face these additional criminal charges if verifying information is obtained by police, the statement said. A fourth charge on Derrico Logistics’ card for $173. to Overstock.com was reversed before it was complete, the statement said, because the buyer’s shipping address didn’t match the shipping address and billing address listed by the credit card’s owner. Overstock.com also provided police with another denied charge by a buyer using the same IP address, shipping address and phone number, on the same day and within the same hour, for the same $173. item but, this time, on a DTS Logistics credit card, McDaniel said. Overstock.com advised police the computer digital signal matched on both transactions and they were able to stop the transaction before it went through. Police contacted DTS Logistics and the owner said he was aware of the Overstock.com charge along with another online charge. After the required information is sent to police for the additional unlawful credit card use, Moss could face additional criminal charges, McDaniel said in the statement. Police were unable to locate Moss for several weeks, but found her at her residence on Tuesday. Moss was placed under arrest and booked into the Washington county Purgatory Correctional Facility, McDaniel said. Moss was charged with one third-degree felony for unlawful use of a finance card, two third-degree felonies for possession of information to use a finance card, and four class B misdemeanors for theft. Moss was initially booked into the Purgatory Correctional Facility on $27,040 bail. Her bail was later reduced to $10,000 by 5th District Judge G. Michael Westfall after she made her first court appearance on Feb. 12. This is not Moss’ first run-in with the law. In June 2007, Moss was found guilty of attempting to fraudulently obtain unemployment compensation, and was found guilty in March 2012 of two counts of identity fraud and providing false information with the intent to deceive a public servant, according to Utah court documents. In November 2012, Moss was arrested on six counts of falsely obtaining or dispensing prescription medication but those charges were later dismissed. Moss was arrested on four counts of identity fraud in July 2013, but those charges were also dismissed. 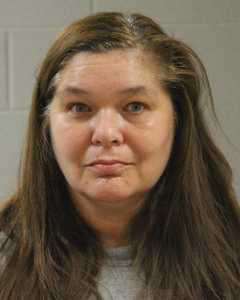 Moss is scheduled to make her next court appearance March 2 for the current theft and finance card charges she is facing. Please tell us that this woman was NOT working there…..and HOW the blazes did she have enough access to do this? Well, it appears this person doesn’t like who she is and is in need of a new identity. Everything about her is fraud. I’m with Laytonian, was she working at port of entry? I also am wondering just how she got access to this info. If she was working there they really need to screen their employees better!